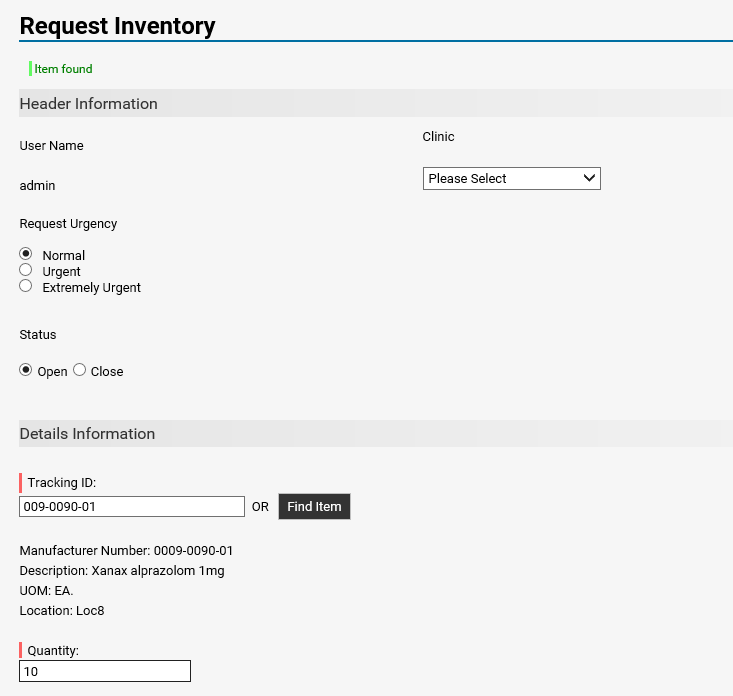 Low Inventory Items sent automatically in an emailed report, based on a preset frequency interval. Use Drugs before they Expire! Optionally Scan NDC Barcodes and UPC Barcodes that are already on your items when they arrive. 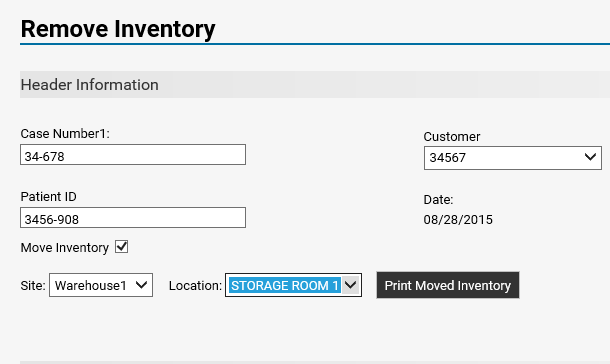 When removing Inventory you can optionally remove down to the sub container level recording individual doses as they are removed from containers. Alternatively remove entire containers as consumed. 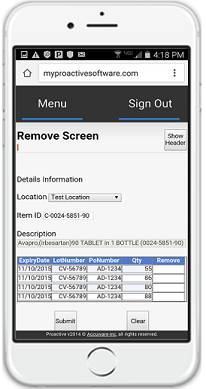 Create reports and save them for re-use later. 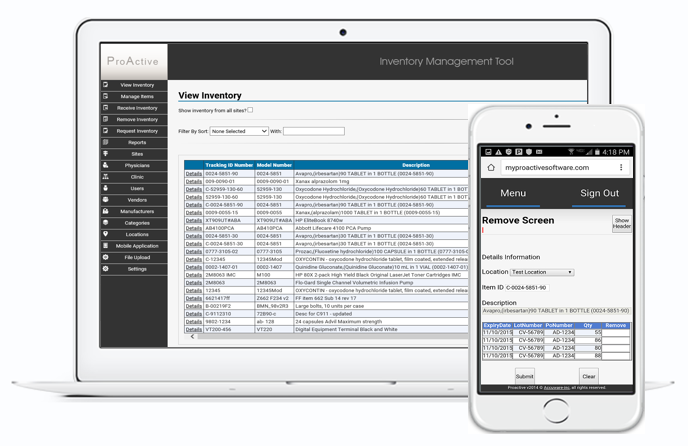 Inventory receiving screen and Inventory removal screen have configurable fields so you can use your nomenclature.